After two successful fragrant pairs from the collection Ed Hardy, Christian Audigier presents his third pair inspired by hearts and daggers in tattoo form. 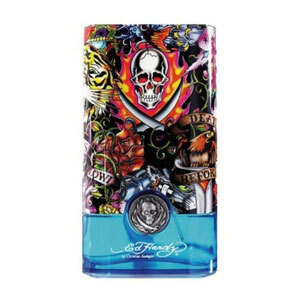 The collection includes fragrances Ed Hardy Hearts & Daggers for Her and Ed Hardy Hearts & Daggers for Him which arrived on the market in November 2009. Their pink and bluish flacons feature an interesting stopper decorated with tattoo applications. Premium Chocolates, 30 pcs with Diwali wishes Mug"